Welcome to the comforting world of Fortis Healthcare. Where the medical treatment is truly world-class. Where Medical Value Travel is truly value. Where patient caring is warm and sensitive to your needs. Where your total experience leaves you with very pleasant memories. One of India's leading tertiary level healthcare groups, Fortis comprises a network of 12 hospitals with a bed capacity of 1803 beds and 12 Heart Command Centres. Following the acquisition of the renowned Escorts Healthcare System, Fortis operates one of the world's largest Cardiac programmes. The group's Fortis Hospital at Noida, next-door to Delhi, is India's foremost tertiary care facility in Orthopaedics and Neuro Sciences. The group also performs cutting edge surgeries in various specialities ranging from cosmetology, woman & child health, ophthalmology, dental, ENT, urology, and minimal invasive surgery. Our facilities ensure that there is genuine Medical Value in health travel to India. India is fast becoming the world's first choice destination for healthcare services - especially cardiac surgery. With rapidly expanding infrastructure, clinical expertise and international standard implementation, India is servicing the healthcare needs, at reasonable costs, of international patients from around the world. Cardiac Surgery and other Surgery Costs are among the most affordable in the world. In recent years many countries have experienced a shortage of speciality care providers, which has restricted their access to quality and cost effective medical care. In sharp contrast India has concentrated on increasing the availability of speciality cares thereby avoiding the shortage of medical professionals. In fact, the availability of clinical expertise, reasonable Cardiac Surgery and other Surgery Costs are among the most affordable in the world, and internationally trained and educated medical professionals is a major factor in the growth of foreign patient procedures in India. 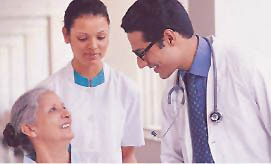 Fortis will assist patients in making the appropriate arrangements for their travel within India. Our partners are aware of our patient's needs, proximity to locations, and modes of transport. As such, they have assembled a wide range of accommodation (5 Star to Budget), transport and excursion tours at special rates. Patients can also build any aspect of their trip through this agency or on their own. We currently do not accept direct foreign insurance payments; however we are willing to discuss payment options with your insurance provider in the event your policy covers services rendered away from your home residence. All payment arrangements should be handled in advance. All scheduled services require a deposit of 10% made in advance of planned procedures. The balance payment will be required upon admission and incidental charges will be due upon the patient's discharge. We accept payment by Cheque, CC, MO, DD and cash. All bills must be settled in US$ or Indian Rupees. We can provide facilities for foreign currency (amounts less than US$ 5,000) while you are in India. All other foreign exchange requirements should be handled prior to your arrival in India. Fortis recognizes that International Patients have special needs and requirements. In order to provide a highly specialized service, Fortis offers seamless patient services of world-class quality. From the warmth of our greeting at the airport, to your registration and discharge, we have created an unparalleled service in our Fortis International Patient Service Centre, New Delhi. Fortis Hospital New Delhi, Fortis Hospitals Group India, Best Medical Facilities India, Best Medical Facilities New Delhi India, Fortis Healthcare India, Fortis Healthcare New Delhi India, Fortis Healthcare group India, Best Medical Infrastructure India, best Medical Infrastructure new Delhi India.